This is a sponsored post Super Bowl Party Bathroom ideas written by me on behalf of Febreze. 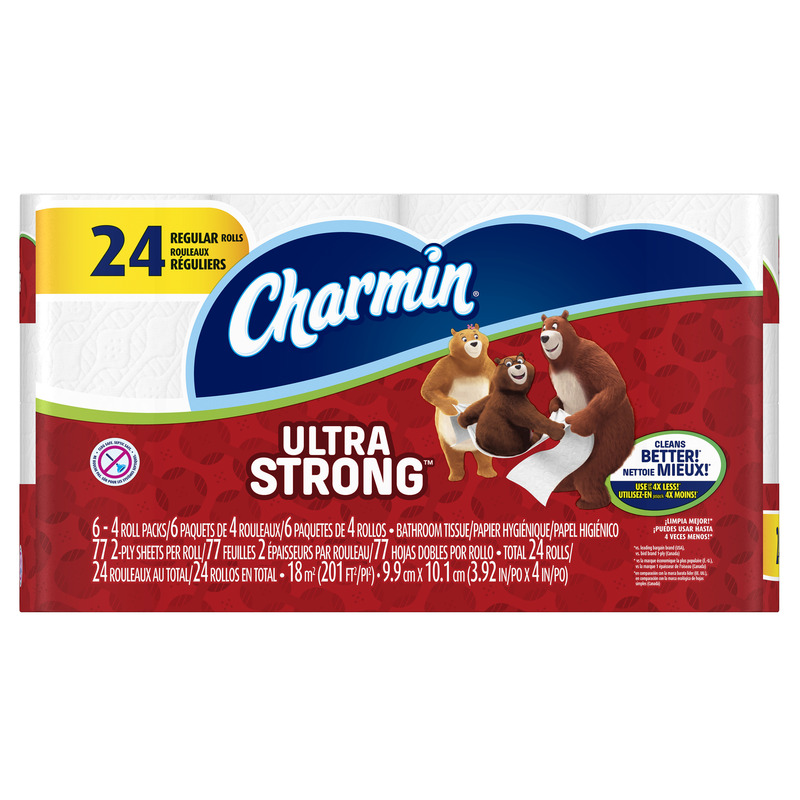 and Charmin. All opinions are 100% mine. As a mother of boys there is no escaping watching the Super Bowl which also means there may be some extra testosterone coming as well. 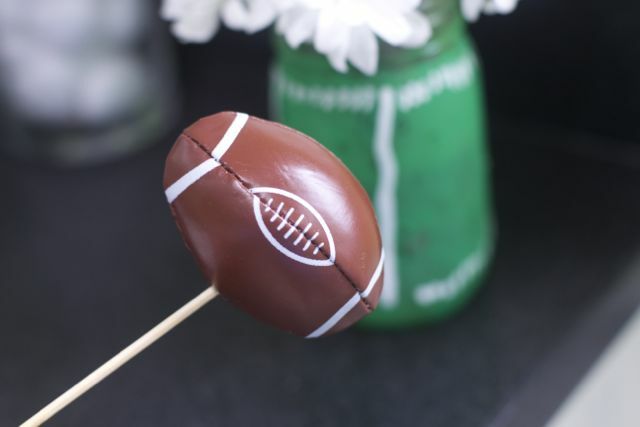 If you are hosting a Super Bowl party there is no doubt that you have made some football decor and preparing some yummy Game Day Snacks. Have you ever thought that it is also vital for you to prep your bathroom too? Let’s get real here, there are mostly guys at your house and if the bathroom is not stocked, there might be some trouble brewing. 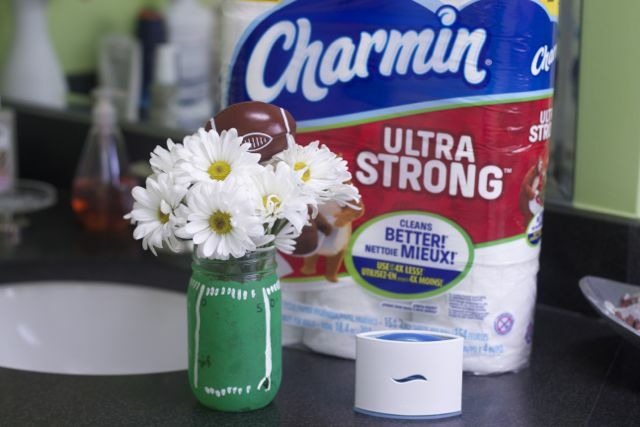 On behalf of Febreze and Charmin, here are some easy and necessary Super Bowl Bathroom Ideas you don’t want to miss. Here are some interesting facts that might just convince you to spruce up your bathroom this year. Did you know that more ore toilets are flushed between the 2nd and 3rd quarter of the Super Bowl, than at any other time of year. It’s called the Halftime Bathroom Break and it’s coming. 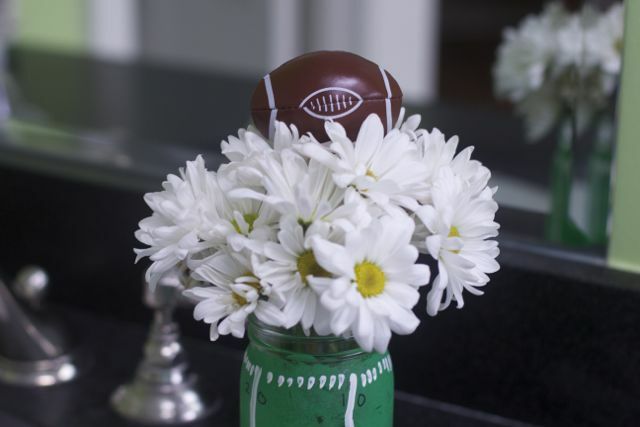 Did you know that 62% of Super Bowl watchers say that forget to prep their bathroom before a Super Bowl party, and that means one of the busiest rooms in your home could be full of lingering odors and empty toilet paper roll. 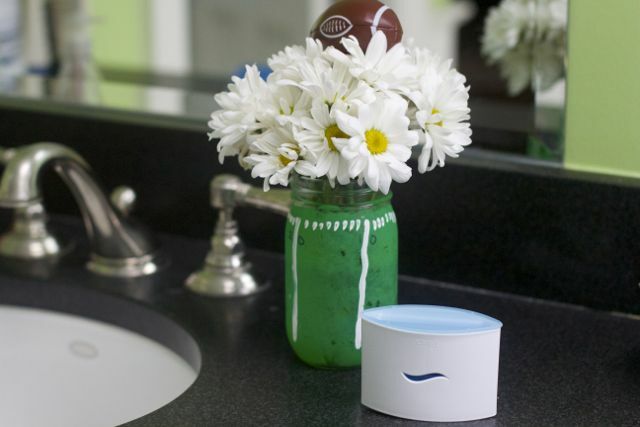 New Febreze smallSPACES with OdorClear™ technology, to clean away the trillions of football-fueled odors on game day. 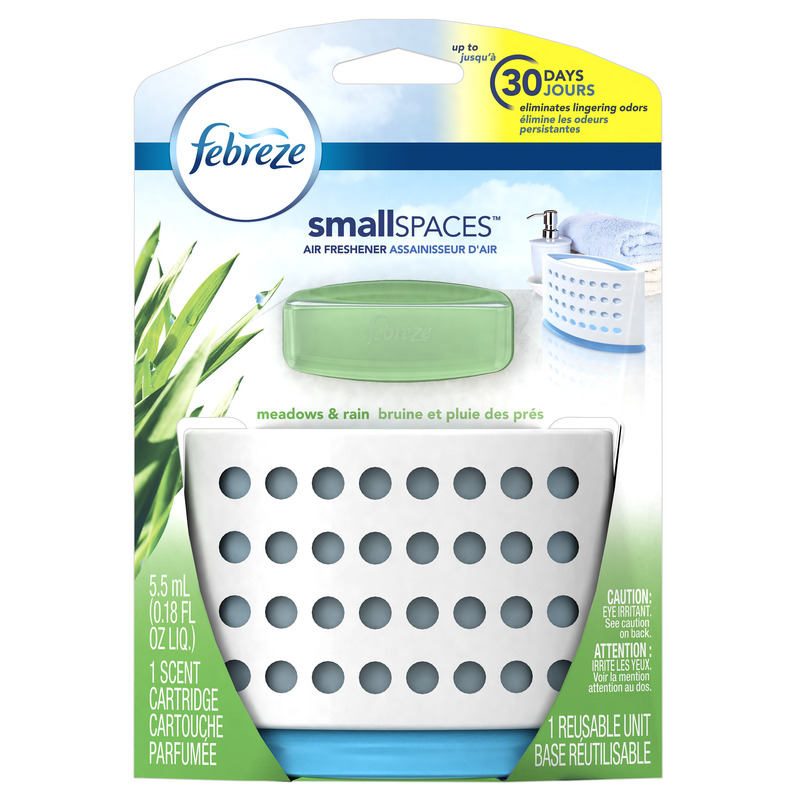 Our boys bathroom could always use the new Febreze smallSPACES, the smell is subtle but it covers up that sweaty I often miss the toilet boy smell! OdorClear™ is a proprietary technology from Febreze that seeks out and cleans away odor molecules vs. just masking them, stopping them from lingering and traveling. 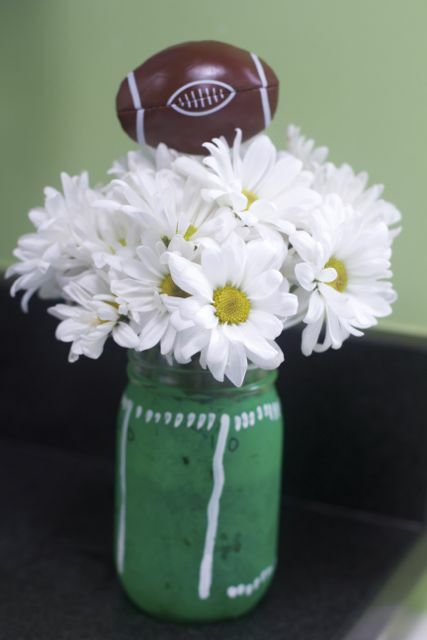 I decided to also spruce up the Bathroom for our Super Bowl Party by filling the Football Field Vase with flowers instead of Chocolate Covered pretzels this year. 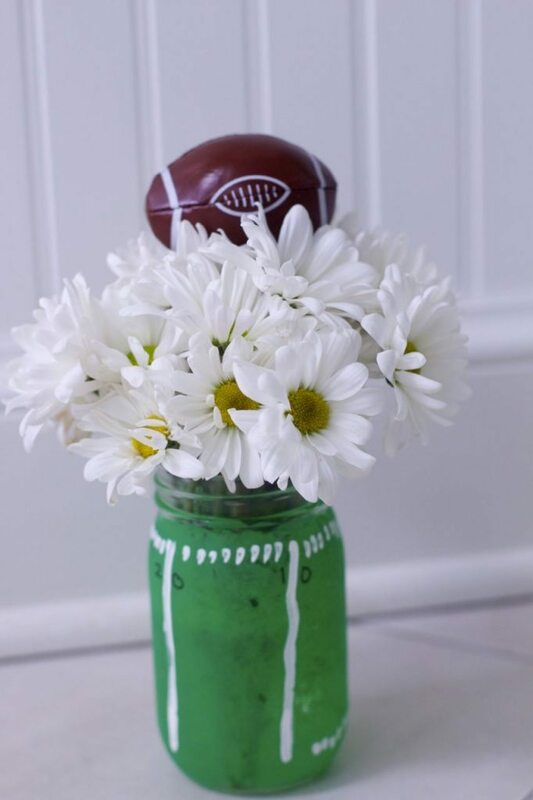 Simply buy some inexpensive white mums or other white flowers and cut them down to fit in the short mason jar. 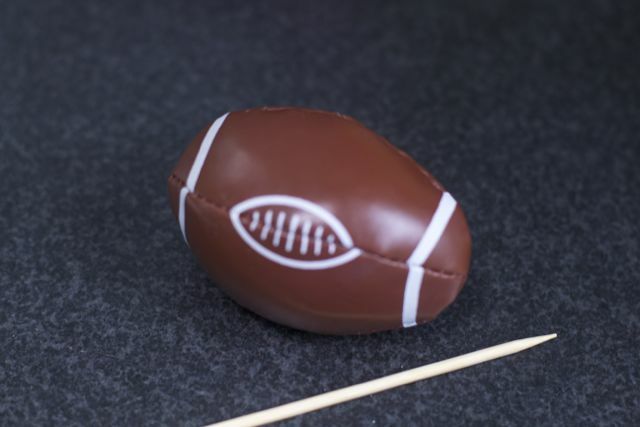 We used a small bean bag football and a skewer to make a simple super bowl party decoration. 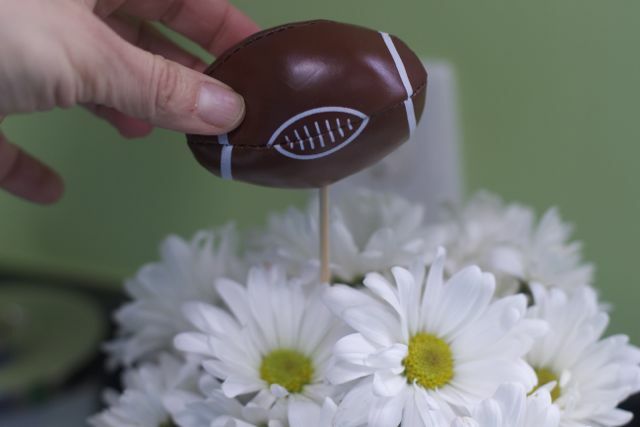 Simply puncture the football with the sharp tip of the skewer and you have created a super easy and fun floral arrangement. Stick it in the middle of the flowers and display this in your stocked bathroom. 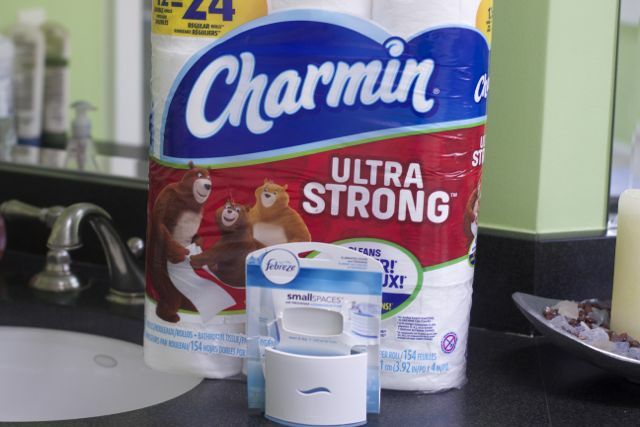 The bathroom cabinet is also stocked with Charmin Ultra Strong. Hopefully only three rolls are needed considering 3 rolls of Charmin Ultra Strong Mega Roll are long enough to span an entire football field. Our Bathroom is ready for half Time and really all year round. Don’t neglect that bathroom for the Super Bowl and make sure it’s stocked with New Febreze smallSPACES with OdorClear™ Technology and Charmin Ultra Strong. Don’t you want everyone feeling right at home. Check out how this product works on this Febreze YouTube Video. What else would you stock your bathroom with for your Super Bowl Party?